Internationally, bamboo is becoming widely accepted as the premium ecological construction material in terms of its strength, durability, renewability and negligible carbon-footprint. Myanmar is fortunate to have some of the world's largest bamboo resources and an unrivalled range of excellent construction bamboo species. Properly utilizing this resource will unlock significant social, economic and environmental benefits for Myanmar. SBF takes full advantage of the fact that the bamboo plant, unlike a tree, renews itself annually and produces harvestable timber every year of its mature life. There a re two basic principles to this process that aren’t commonly understood. Secondly, bamboo culms reach their optimum strength in their 3rd, 4th or 5th years, depending on the species. Only these culms should ever be used for construction. And once culms pass this age, their strength diminishes greatly and they should be removed from the bamboo clump. Sustainable Bamboo Forestry is simply based around facilitating these two factors. By implementing SBF, the quantity and quality of bamboo supply is greatly improved. The overall biomass of the bamboo plant is increased and the quality of poles is improved. This leads to greater profits for the bamboo farmer. Furthermore, by developing a healthier, more productive bamboo resource, Myanmar will reap the environmental benefits of bamboo. Climate change is bringing drought, decline in water table levels and silting of major rivers in some regions. Bamboo is sometimes called a ‘living aquifer ‘ – it roots can store water in the wet season for release during the dry season. In other areas of the country, climate change is bringing unprecedented rainfall, flooding and landslides. Bamboo can play an instrumental role in stablising deforested hillsides, protecting communities from storm winds, and otherwise restoring biodiversity to degraded landscapes. 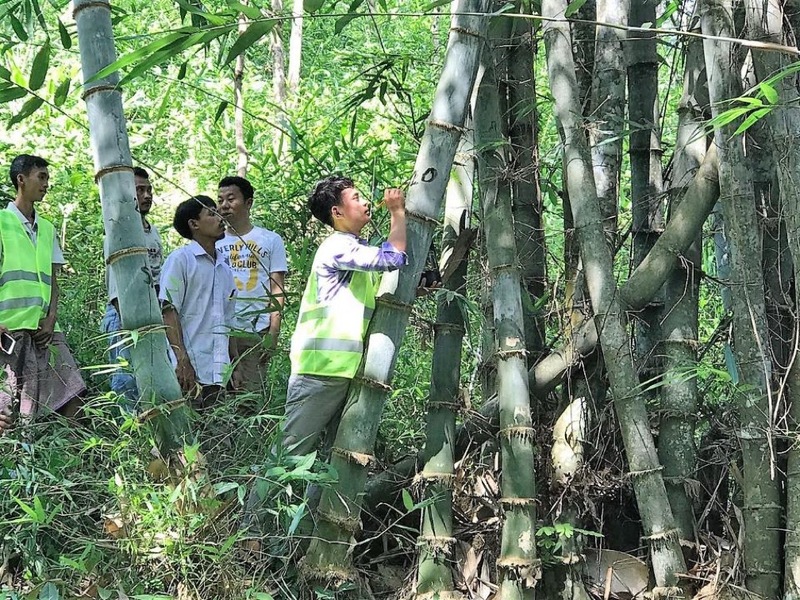 A system of identifying the age of bamboo poles is central to sustainable bamboo forestry. 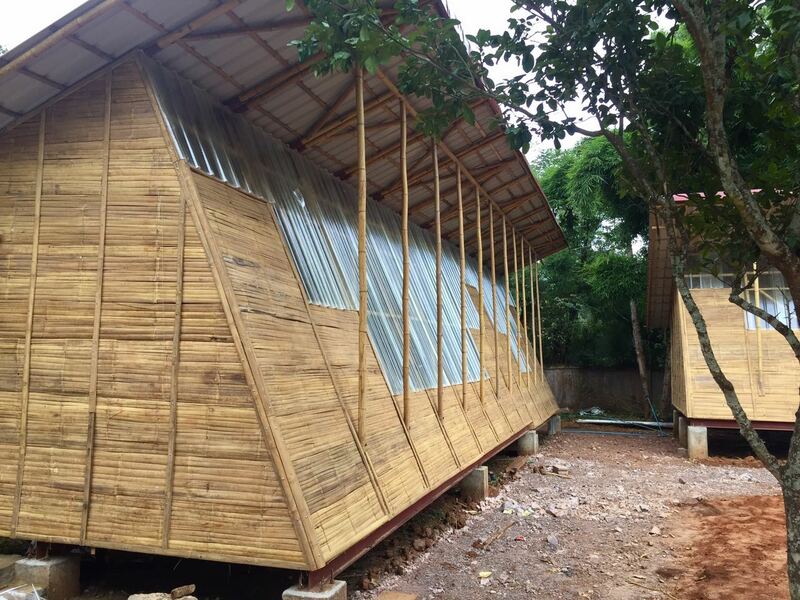 Buildings constructed with borax-treated bamboo have now been standing for over 30 years in Indonesia and South America.Through this safe, water-based treatment process, bamboo is transformed from a temporary material to a valuable, permanent construction component. The borax treatment process is relatively uncomplicated but quality control is critical. It should be noted that the borax preservative treatment only protects bamboo from insects and some forms of fungus. It is not a protection from rain and sunlight, which must be considered in the design of bamboo structures. 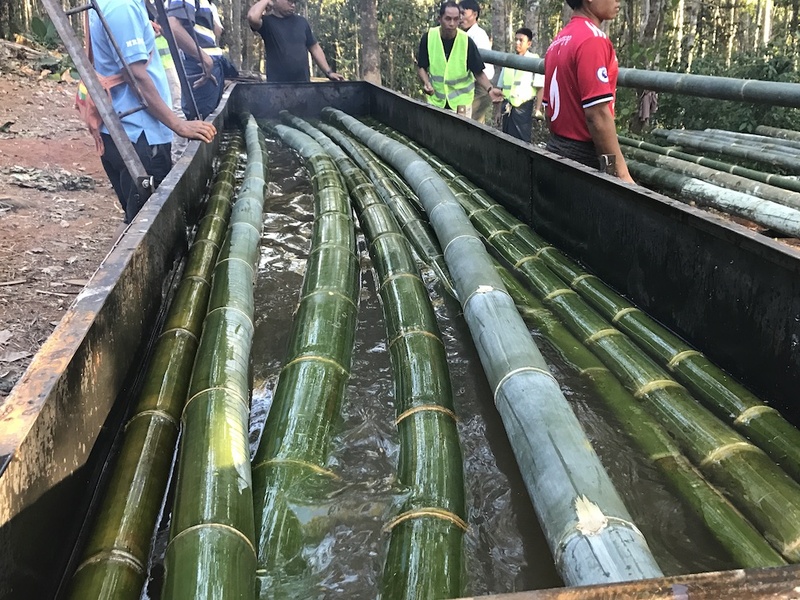 Nevertheless, borax treatment has the potential to generate sustainable livelihoods by bringing significant added-value to existing bamboo resources. Once bamboo has been treated with borax, it can be stored indefinitely in the correct conditions – it is literally ‘money in the bank’. Bamboo treatment facility design consultancy. Sale of treated bamboo poles and other bamboo construction materials. Pounamu uses prefabrication techniques to reduce time on site. This also allows erection of buildings during rainy season. Pounamu's focus is on simple, high-quality bamboo construction. 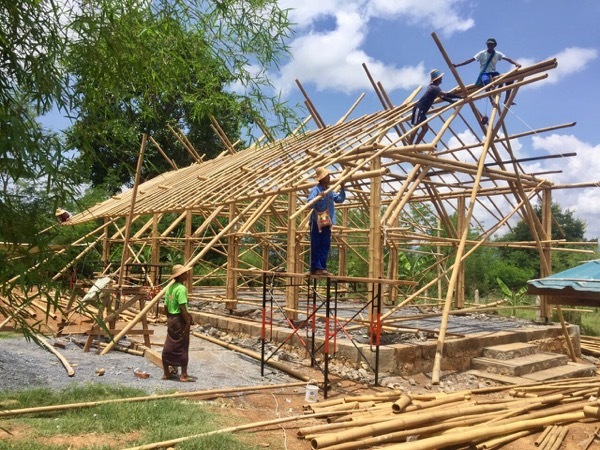 Pounamu Bamboo & Construction is working with BIF-UKAid and WWF to build a new community hall in a remote village about 2 hours from Dawei. 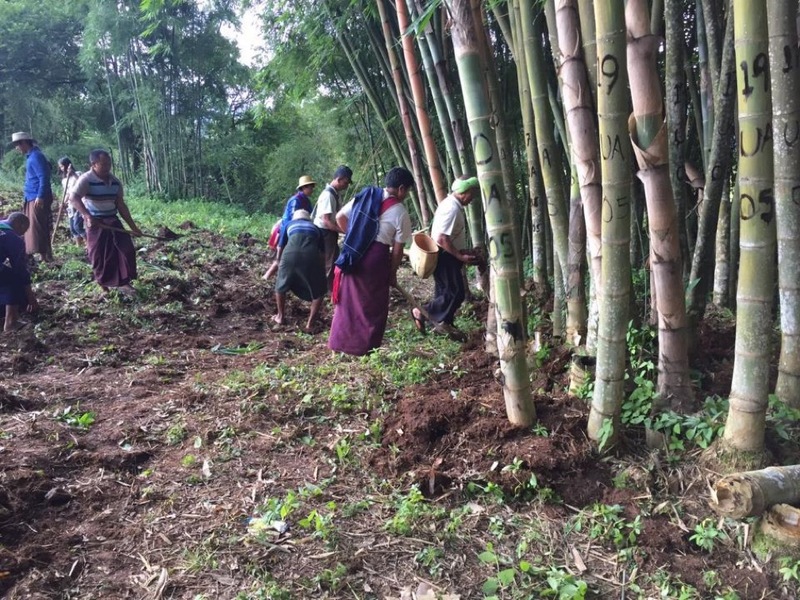 This is the third and final stage of a bamboo training program for this community. 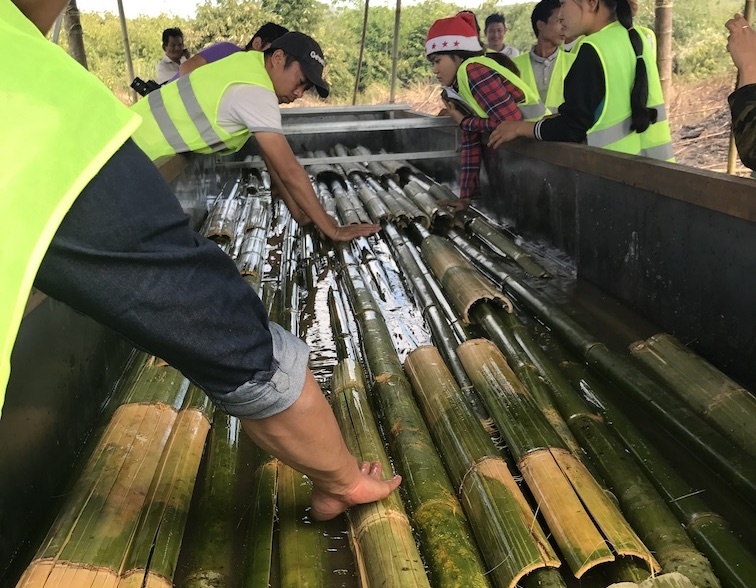 The training program has run over the past year and comprised workshops in sustainable bamboo forestry, borax preservative treatment and now construction. 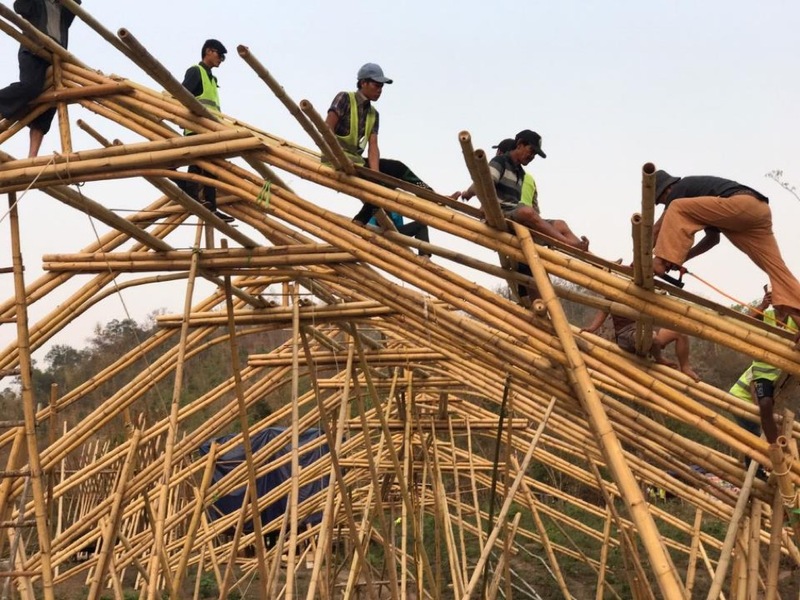 Pounamu Bamboo & Construction is working with UKAid to build a new training hall on Kadan Island, the largest island in the Mergui Archipelago. This construction workshop trained (how many?) local carpenters in bamboo building techniques. It follows earlier training workshops in sustainable bamboo forestry and borax preservative treatment. Kadan Island is blessed with very good quality Dendrocalamus Giganteus bamboo (Wa Bo in Burmese). The building must be completed by early December for its first scheduled community training course. Single-family affordable bamboo house, Shan State, Myanmar. Over the past couple of months Pounamu has been working on a prototype single-family affordable home constructed from bamboo. In mid-November, we hosted a construction workshop with the Association of Myanmar Architects to build this prototype. The completed house was then donated to a family in Kankaung village, where our factory is located. Last week local monks blessed the home and the family moved in. We are grateful to the sponsorship of building materials by Habitat for Humanity Myanmar. 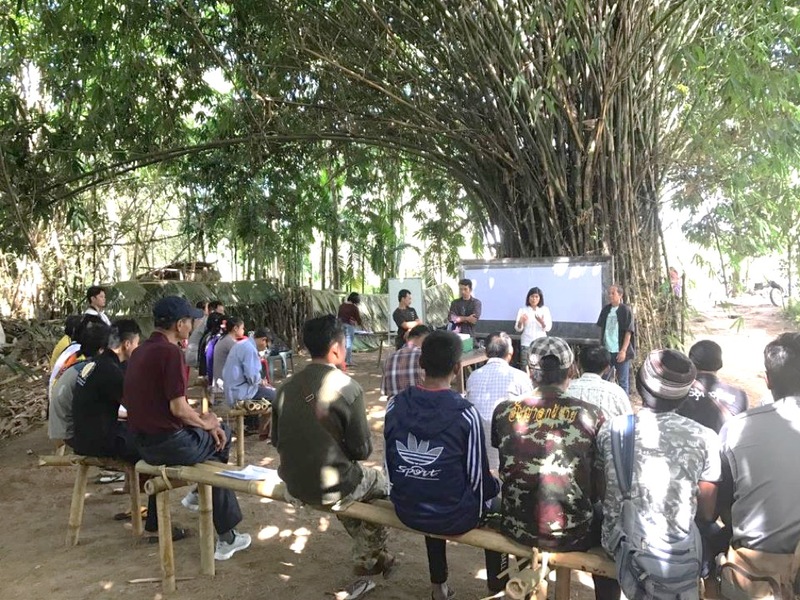 Pounamu Bamboo Design & Construction has completed this community training hall in Kyeik Pe Lan village, about two hours’ drive from Dawei. Many thanks for the support received from WWF and UK Aid-BIF. 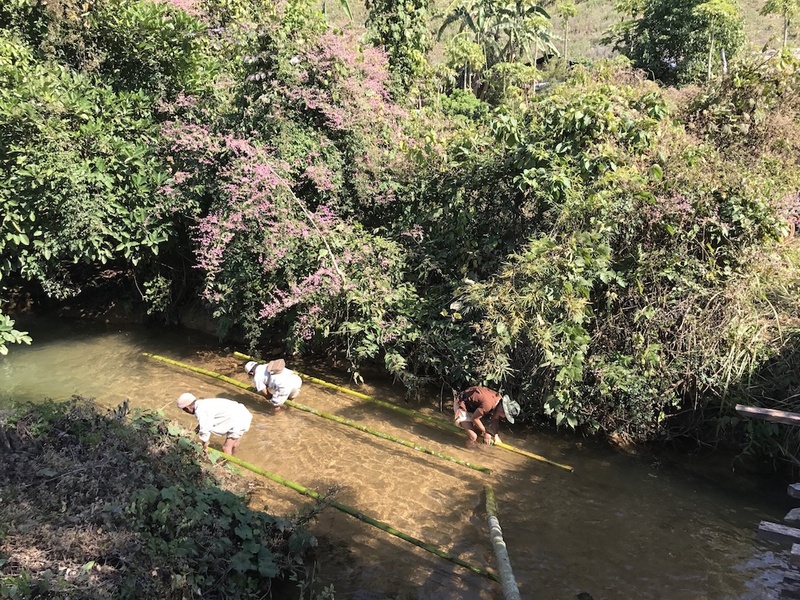 And also to local villagers who participated in bamboo treatment and construction training workshops and then worked with Pounamu’s staff to complete the project. During the project we discovered one of the prevalent local bamboo species was particularly suited to making bamboo roofing shingles. Utilizing skills learnt during this project, Kyeik Pe Lan village will supply these treated shingles to a new Pounamu project in this region starting on site in January. Hopefully this will be the beginning of a sustainable, climate-change resilient enterprise for this community, a key objective of this project. Since Pounamu started our bamboo work three years ago, we have been dedicated to growing relationships, increasing knowledge and sharing techniques. As well as bringing an international network of bamboo experts from Asia, Europe and South America to Myanmar All with the objective of helping develop the bamboo construction in Myanmar.